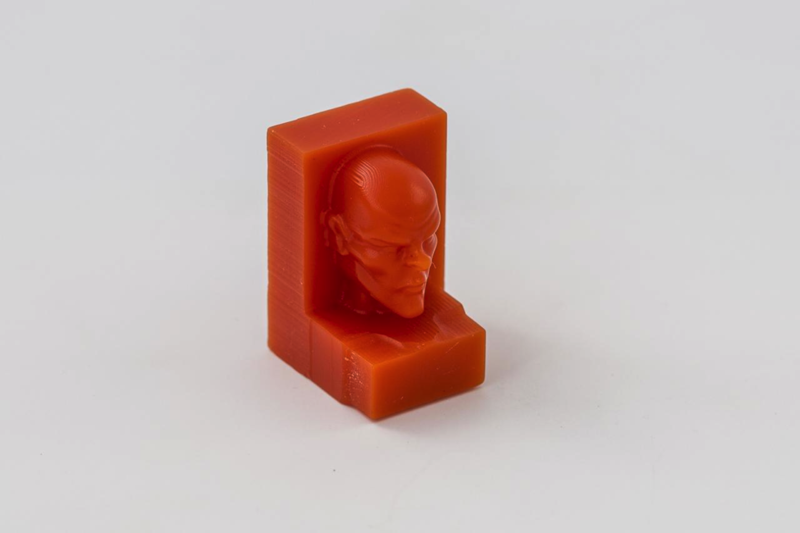 Download the custom tool library for Machining Wax here. 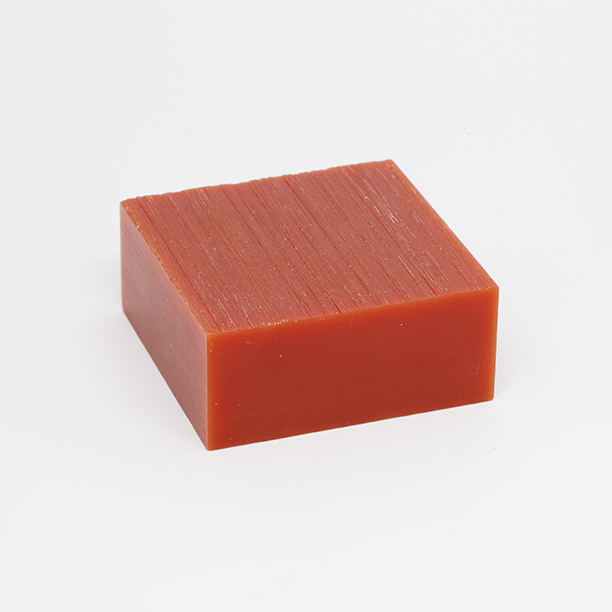 Machining wax, or machinable wax, is wax that has been mixed with plastic to make it very hard, tolerant of high temperatures, and able to retain extremely fine details. This means that it won’t melt when you mill it, and it also won’t droop, sag, or deform like many other soft materials, so you can mill very thin surfaces and tiny features. Machining wax is one of our favorite materials, and it machines like a dream on the Bantam Tools™ Desktop PCB Milling Machine. What is machining wax used for? Uses for machining wax include moldmaking, lost wax casting, prototyping all kinds of parts, dental CAD/CAM, and making jewelry. Since it’s one of the easiest and fastest materials to mill, we often use it when we want to test something that we plan to make in wood, metal, or other materials that take a long time to mill. 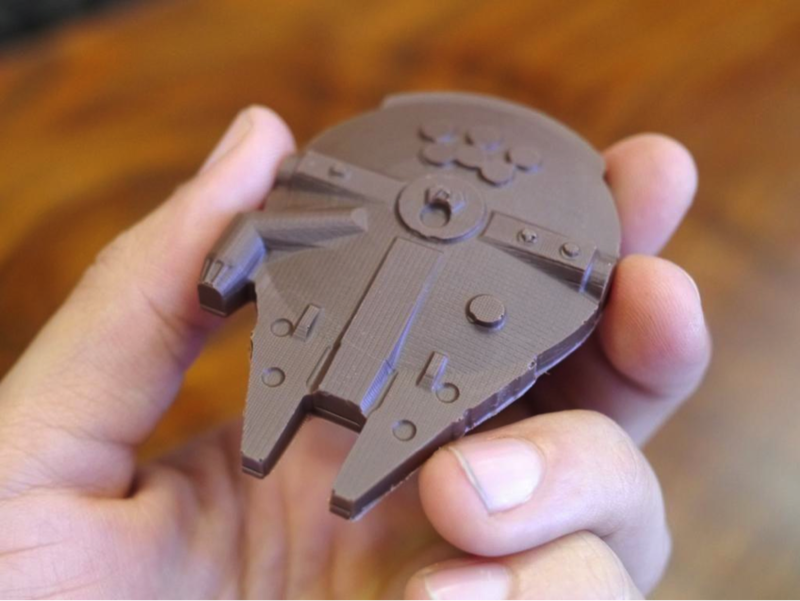 We also love to eat chocolate, and we’ve made many chocolate molds by milling a wax positive and then pouring silicone over it to make the mold. Scroll down for a few examples. Yes! The only danger is that you’ll annoy your friends by telling them over and over how much you love milling it. Where can I get machining wax? We sell it in our store in large and small sizes. We don’t recommend using candle wax, paraffin, or other waxes not specifically made for machining, as they may melt, gum up the tool, and fail to retain detail. 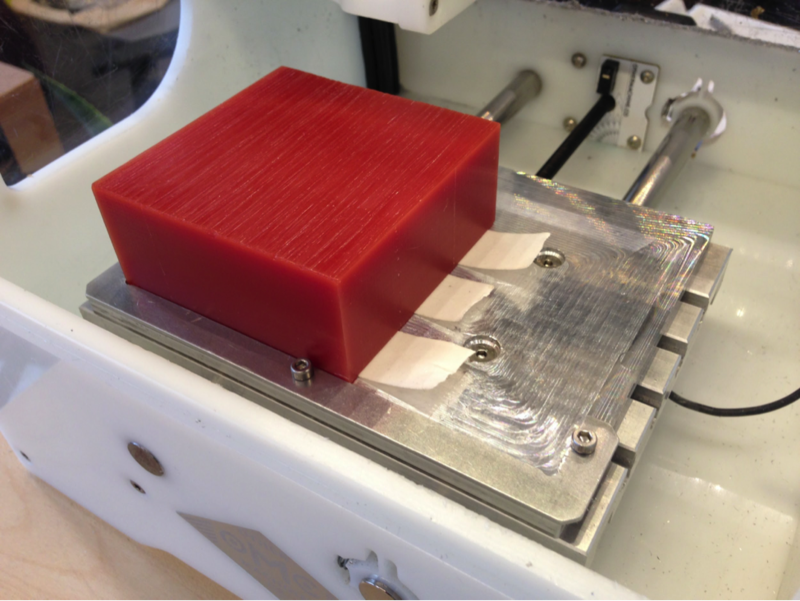 Fixturing: How do I attach machining wax to the milling machine bed? High-Strength Double-Sided Tape is a great option, and we recommend using them in conjunction with the alignment bracket for extra rigidity. With Permacel tape, place strips evenly across the underside of the material. Cover as much surface area as you can. Don't let the strips of tape overlap or wrinkle. Then peel off the backing and press the wax firmly down onto the machining bed. What end mill should I use when milling machining wax? Both 1/8" and 1/16” ball end mills are the best for machining 3D objects out of wax because they give the smoothest contours. That being said, this material mills easily with any tool. It’s really quite enjoyable. Note: Keep in mind that the engraving tool has a variable width, depending on your “engraving cut depth” parameter. The deeper the cut, the wider the tool. The shallower the cut, the narrower the tool. If you’re using an engraving tool and the generated path isn’t cutting part of your .svg file, try reducing the engraving cut depth.